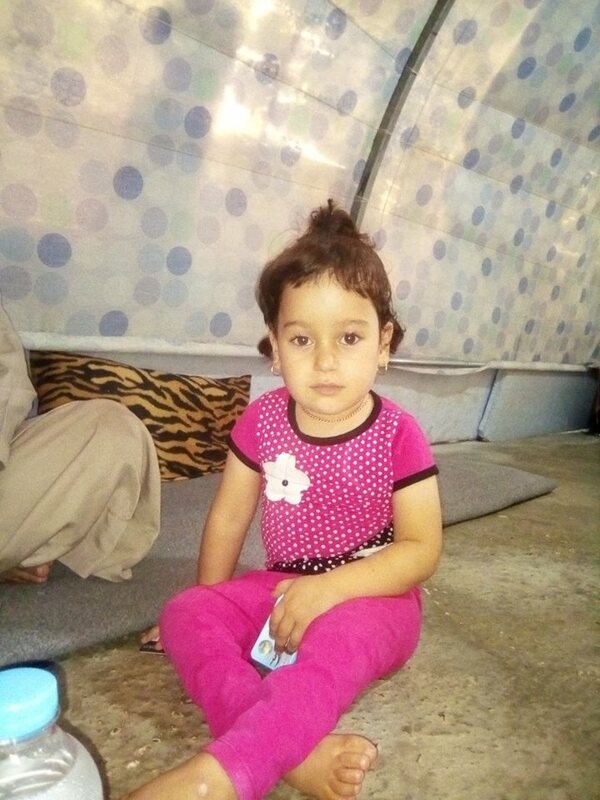 Katrina is a 5-year-old girl living in Chamisko, a massive IDPs camp near Duhok. She is the youngest of eight kids and they all live together in one big tent with no running water and little electricity. 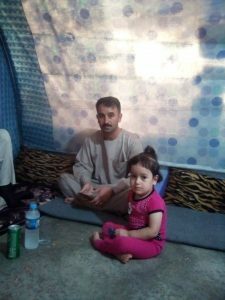 They escaped from ISIS in 2014 and since then the father has only been able to work from time to time making barely enough to buy food for the family. Katrina is affected by Myelomeningeocele and hydrocephalus. These genetic conditions prevent her from walking properly and controlling her movements but her mental state is normal. Therefore, she is well aware of her state and she would do anything to walk again. She already underwent an endoscopic third ventriculostomy (ETV), a surgery which creates an opening to allow CSF to flow in and around the brain as it should. This was free from the public hospital. Now different specialists have studied her case and have suggested the family to go to Turkey for a back operation to correct the position of the spinal cord and prevent infections, further injury or trauma to the exposed spinal cord and nerves. As this surgery is a highly sophisticated one, it is not offered in Iraq, The price of this operation, considering also the journey to Turkey, is $20.000. This cost greatly exceeds our available budget, but we hope to collect enough donations to at least contribute to the expenses and allow Katrina to finally walk.